Atletico Madrid is currently holding the 2nd position of La Liga point table this season. They are 11 points behind than top tier Barcelona. Valencia is in 3rd position with 65 points and Real Madrid is in 4th position so far. In last Sunday night, the two teams of Madrid faced against each other. In the match, Real was stopped by Atletico at Bernabeu. At the home venue of Real, they failed to beat Atletico Madrid once again. The apprentices of Zidane missed number of opportunities in the match and so, finally the match ended with draw. 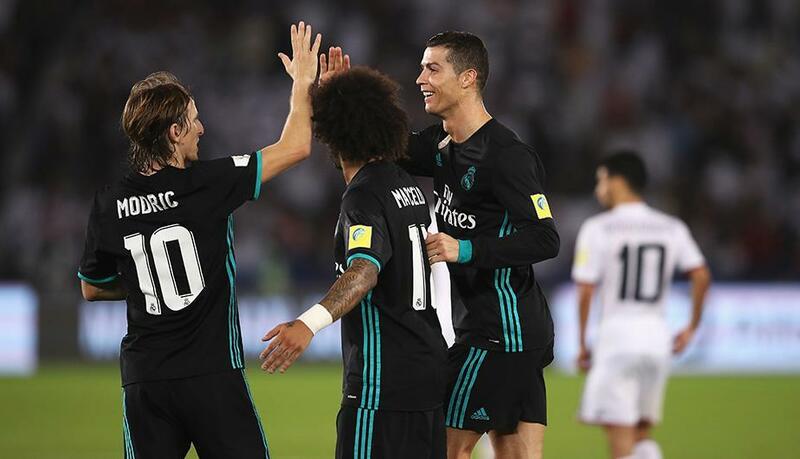 In last Sunday at Santiago Bernabeu, the two teams of Madrid played against each other where the match finished with 1 – 1 goal. Including the last match, Real Madrid failed to beat Atletico Madrid consecutive five seasons at their home venue in La Liga competition. The both goals were scored in the 2nd half of the match. Cristiano Ronaldo led his team Real madrid ahead at first. But later Griezmann brought back his team Atletico at the game. Simeone’s Atletico Madrid used to play defensive attacking football always and in the match against Real Madrid, they played with same style. They first secured their defense and later made attacks. In the La Liga competition, Real Madrid managed just one victory against Atletico considering the last nine match. So, they started to play against them with so aggressive style. But in the first half, they did not make any successful cross. In the 10th minutes of the game, with so near Ronaldo failed to escape opponent goalkeeper Oblak. From the corner Gareth Bale made a head and with his knee, he wanted to find the net. But Oblak was the savior of the game. Just ten minutes later, the bullet shot of Ronaldo was stopped by Oblak once again. In 28th minutes of the game, the shot of Varane was stopped by the Slovenian goalkeeper. Just a minutes later with a counter attack the shot of Costa was stopped by Navas in exchange for corner. In the match, it was the first chance of Atletico Madrid. However, in 53rd minutes of the game, Real went ahead. The perfect cross of Bale was found Ronaldo in a dangerous place and with an amazing shot, he escaped Oblak and found the net. Though, Atletico played defensively most of the time but after the Real’s goal, they started to play very aggressively and also got success. In 57th minutes of the game, they returned to the game where Griezmann made a goal with the help of Vitolo.